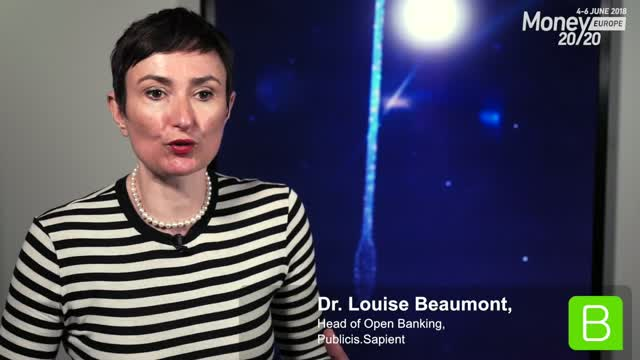 -How can data from open banking be used to discover new services for customers? -Why should design thinking be used to deliver hyper-personalised services? -Why do you enjoy coming to Money 20/20 Europe? -What do people often get wrong about the Open Future– what is it and what is it not? Tune in to FinTech, payments, and banking experts as they reveal what they learned, were shocked by, and were excited about after this year's Money20/20 Europe event in Amsterdam. Serial Entrepreneur with extensive knowledge within finance and the credit industry working in the Fintech sphere the nordics. Thought leader in Blockchain banking and revolutionizing technology within the banking sector. -It’s no secret that the Nordics have always been ahead of the game when it comes to FinTech innovation. How can this be scaled and adopted by other regions? -What are some of the characteristics of a FinTech winner? -What are some of the key FinTech trends in 2018? -How important is building a community in FinTech success? -What was the most interesting thing you heard today at Money20/20 Europe? -What are some of the challenges with creating a devops culture in Financial Services? -How do you encourage your clients to adopt a Multicloud approach? -AI is one of the biggest trends in FinTech over the past few months. Do you think FIs are getting to grips with it successfully, or do you see areas they can improve on? Ask the experts session with BPC Banking Technologies from Money20/20 Europe. Even though the technology seems to be getting all the attention, we are still very much part of an industry where everything starts from real life needs. Over the last years, payments and business transactions are increasingly converging into digital services. This raises some interesting questions on how to bridge real life to digital and create relevant products for customers. But are isolated solutions still fit for purpose or will the future all revolve around marketplaces and ecosystems? And what technologies enable this evolution? BPC Banking Technologies will be discussing what the journey towards a digital payments ecosystem looks like. How do you bridge banks and FinTechs in one ecosystem? How can Open Banking save Financial Services from the threat of Tech Giants? -What are some of the unexpected consequences from GDPR that might make it harder to battle fraudsters? -how can regulation serve to improve the reputation of digital finance companies? -Could you share your experience with your collaborations with challenger banks, digital currency companies, and organisations in the sharing economy? -Could you talk us through the Western Union and Ripple test? -Why was it important for you to expand your global partnerships like those with WeChat and Facebook? -What are some of the most pertinent changing needs of your customers? -Could you talk us through the evolution of biometrics – from where it was, what we’re currently seeing, and what the future looks like? -Contactless is becoming quite mainstream, especially in the UK – where does biometrics fit into this equation? -How can we find the balance between privacy and convenience? -What are some of the the impacts of the upcoming regulations (GDPR, PSD2 etc) on the payments & banking industries? -What are some of the trends you see coming up in the next few months in the world of payments? -Trust will always be a big factor when we’re talking about money. What are some of the key areas you focus on you instill trust in your clients? -We hear a lot about connected cars. Can you share a use case with this? -With mobile payments becoming massively adopted, how can companies best secure their apps? -What are some of the trends you’ve seen in Level39 that might come as a surprise to those in the FinTech industry? -Why are people still wary about trusting FinTech over their legacy banks? - At Tandem you talk about freeing the customer from money misery. What are the main things bringing your customers misery? - Why did you decide that having a current account wasn’t necessary? -What does next-generation banking look like? With Big Tech and e-commerce players like Amazon and Alibaba moving into the Financial Services space, the future of banking has become more and more exciting, but perhaps, challenging as well. -Where does AI come in? The world of money is constantly changing. Artificial intelligence and the Internet of Things have helped us extract more value from data and utilise it to provide a better service for customers. Leveraging the powerful blockchain technology has resulted in the creation of new financial ecosystems. The payments ecosystem has evolved in recent years to become both digitised and incredibly competitive. The emergence of cryptocurrencies, mobile payments, and newcomers in the cross-border experience have added new layers to the way we pay. -Will cards soon become obsolete? With Europe's biggest FinTech and Financial Services coming up in just a few weeks, we've gathered some of the elite speakers who will be taking the stage and debating on the hottest topics and the biggest challenges that the Financial Services world is currently facing. What will they be talking about in Amsterdam, what do they want to hear about, what are they looking forward to? -Incumbent players: Who's doing it right, where do we have room for improvement? Check out our live-streamed panel sessions and interviews from Money20/20 where thought leaders in the banking, FinTech, and payments space talk through the different announcements and trending topics covered at the event.